The Faculty of Science and Engineering harbours a kaleidoscope of disciplines and research strengths. Our programmes in research (and education) range from nanomaterials and biomachinery to astronomy, from mathematics to pharmacy, from neurosciences to computer science, and from molecular and evolutionary biology to marine biology. 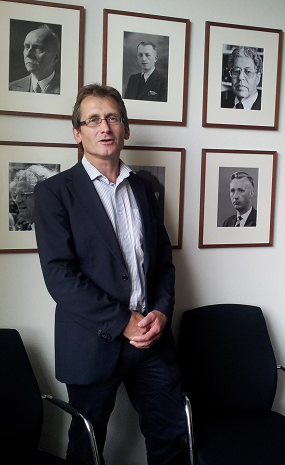 Professor Ben Feringa has won the 2016 Nobel Prize in Chemistry. Feringa receives the prize together with Jean-Pierre Sauvage (France) and Fraser Stoddart (UK) for their work on the development of molecular machines.